Fans of Alan Moore and Brian Bolland’s definitive one-shot graphic novel, Batman: The Killing Joke, have been waiting a long time for a full-length adaptation. There was, therefore, a lot of excitement when an animated film was announced, followed not long after by the news that both Kevin Conroy and Mark Hamill would reprise their roles as Batman and the Joker, respectively. DC also announced that the animated feature would, in all likelihood, warrant an R-rating, allowing it to remain true to its source material. Recently, Hamill took to Twitter with the first panel of the upcoming film – a still of a Batman: The Animated Series-esque Batman clutching the Joker. Now, DC is giving fans their first look at the hotly anticipated animated event. In a featurette released today, DC outlined the history of one of the most controversial Joker origin stories (watch it above, or in another fan edit, minus the purple explosions). The video features several major players from the production, including executive producer Bruce Timm, director Sam Liu, and DC’s creative director of animation Mike Carlin. The teaser includes a brief backstory on the history of The Killing Joke and offers a little insight for the unenlightened about Batman and the Joker, and the fragmented mirror shards which separate them. It also gives fans a taste of Conroy, Hamill, Tara Strong (as Batgirl) and Ray Wise (as Commissioner Gordon) in their roles. In the short video, the producers also discuss the interesting artistic challenges of adapting The Killing Joke’s very realistic Bolland artwork, via Kevin Nowlan, into a style better adapted for animation. In addition, they delve into a few key story alterations, due to the need to stretch the graphic novel into a full-length runtime. The resulting prologue of sorts will feature more Batgirl backstory, allowing her character to develop further before the events of the original plot kick in. In spite of the darker source material, the creative team ponders the possibility of pulling off The Killing Joke without a compulsory R-rating in this more lenient era of the MPAA. Hopefully, though, the producers stay close enough to the source material and worry less about ratings than telling (arguably) one of the best Batman tales of all time. 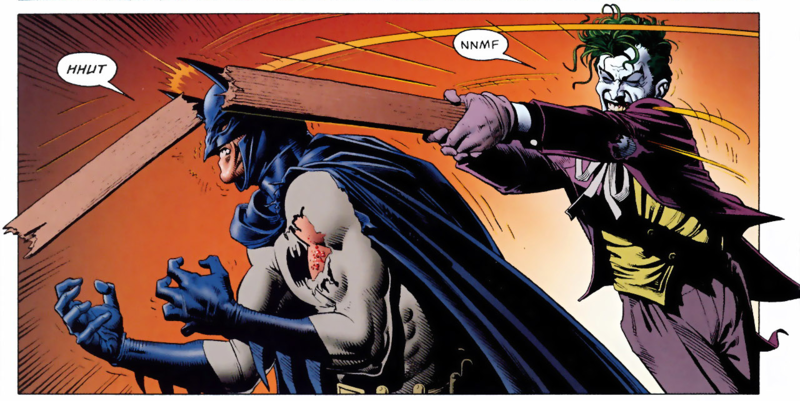 As one of the defining works of DC’s darker-edged 80s comic books, The Killing Joke and its imprint-mate The Dark Knight Returns both changed the course of comic books forever, bringing a more adult audience into the sequential art world than ever before. Overall, the animation looks crisp, stark, and yet hauntingly familiar, staying true to its source material’s tone at least. It also sends a chill down the spine hearing Conroy, Hamill, and Strong return to the voice roles they defined. The Killing Joke looks like it will have some teeth, and it will be interesting to find out how many when it arrives this summer. Batman: The Killing Joke is currently in production. It is slated for release later in 2016.